Apple has apparently relented and let encrypted text and voice service Telegram proceed with an update to make its app compliant with Europe’s new GDPR privacy protections, just days after CEO Pavel Durov alleged Apple was preventing Telegram from releasing updates worldwide at the behest of Russian censors. 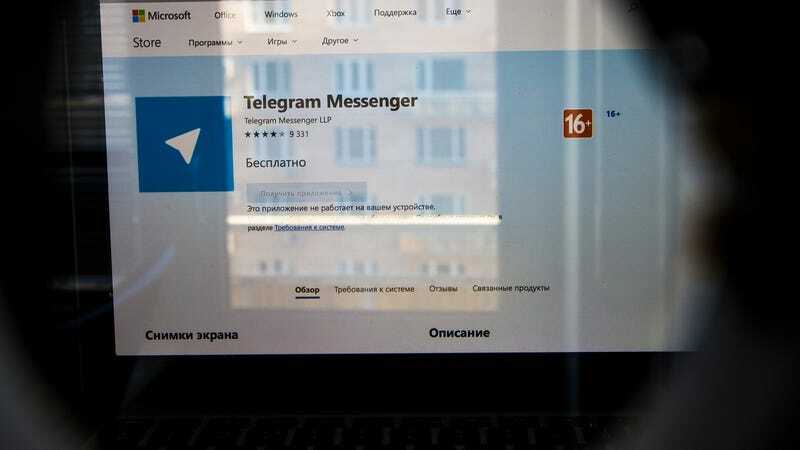 Telegram first fell afoul of Russian authorities when it refused to release its encryption keys to the nation’s Federal Security Service (FSB, one of the successor agencies of the Soviet Union’s KGB) as required under “anti-terror” laws passed in 2016. In April, Russian courts ordered the service to be blocked nationwide, which authorities eagerly if incompetently tried to accomplish by blocking millions of IP addresses associated with Amazon Web Services and Google Cloud servers. The result was that Russian internet users experienced mass website outages, though both Amazon and Google later seemed to have had enough and blocked a domain-fronting technique Telegram and fellow chat service Signal were using to evade the bans. Durov said that Apple had been blocking updates to Telegram in every country since March—a major headache, since the GDPR went into effect in late May and Telegram could risk major fines without compliance updates. As the Verge noted, Apple does not seem to have yet complied with what authorities claimed is a legally binding order to remove Telegram from the Russian version of the App Store within a month. But given Apple’s history of complying with demands from local authorities where a successful legal battle is long odds, like China, Telegram may not be able to count on much help from their corner when push comes to shove.